We keep an eye on new computer games designed to help treat patients with lazy eye. We’ve seen a lot of attempts, but none have aligned with a true developmental optometry approach to amblyopia - until now. 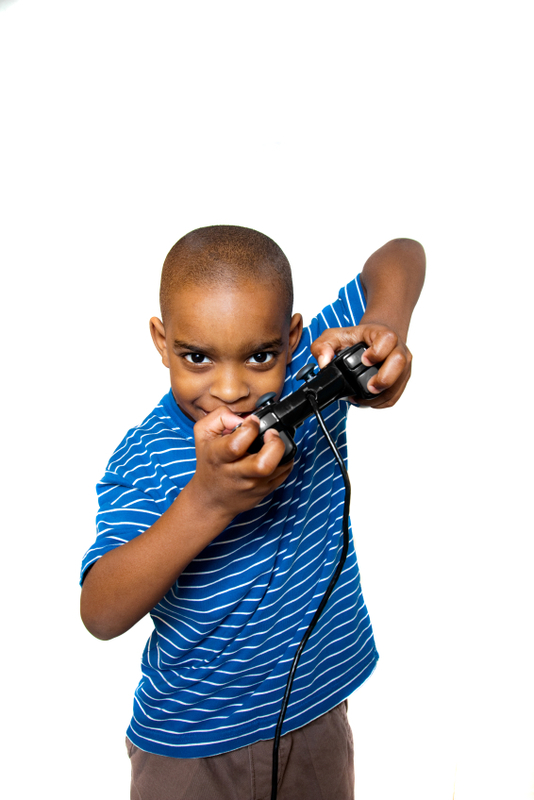 In the past, we’ve covered video games that don’t treat the fundamental causes of functional vision problems such as lazy eye, or amblyopia. So what’s different about this new Pac-Man-style game that gives it so much potential? First, this gaming approach was developed by optometrists at Ohio State University for the purposes of scientific research. We should be clear that this game was developed strictly for research only at this stage, and that it’s not available for purchase. The essence of the approach, and what has us truly excited, is that it doesn’t require the user to wear a patch. Instead, it trains the patient’s eyes to work together, similar to the activities we conduct here at The Vision Therapy Center. While this video game hasn’t been released for commercial or clinical use, we’re excited about its potential and what it could mean for the future of vision therapy treatment. The foundation of any solid amblyopia treatment is that it trains the eyes to work together. That’s because patients have poorly-developed binocular (two-eyed) vision. But before getting too far ahead of ourselves, let’s define amblyopia. When a person has amblyopia, it means one of their eyes doesn’t see as clearly as the other, even with prescription glasses. The causes of amblyopia vary, but often involve a large prescription in one or both eyes, a constant eye turn (strabismus), or a pathological issue. This is a problem for the brain, as it prefers to see images clearly. Therefore, the brain often doesn’t use, or suppresses, the image in the eye with blurry central vision so it receives a single clear image from the healthy eye. However, this poses another issue: Your brain must use both eyes together in order to register your surroundings in 3D and produce full depth perception. It’s for this reason that “patching,” a method in which the patient covers their strong eye with a patch to force their weak eye to work, tends to produce only short-term results. While it may re-engage the weaker eye, it doesn’t train the eye to work with its counterpart, nor does it allow the brain to adjust to using the images from the two eyes. One activity we use in vision therapy involves red-green glasses. These glasses have different colored lenses - one red and one green. The eye behind the red lens only sees the green targets, while the eye behind the green lens only sees the red targets. The patient uses the glasses and looks at a picture with red and green objects. The red objects may be red and rich in detail, which will require more work on the part of the eye. Each eye sees a different target, so the patient gets important feedback about when he or she is suppressing the amblyopic eye. The new Pac-Man-style video game is based on the same principle of red-green glasses and targets. Developed by Professor of Optometry Teng Leng Ooi, the patient wears the glasses while playing a sort of “cat and mouse” game, where the weaker eye is forced to track the details of the moving cat and mouse. According to Dr. Ooi, this approach to amblyopia treatment is called a “push-pull” method, as opposed to the monocular stimulation of the patch method, considered a “push-only” method. Most importantly, the training tool has produced promising results in pilot testing. After completing the training, vision in the amblyopic eye improved to 20/20 and 20/50 in two adult amblyopic participants whose vision began at 20/25 and 20/63 respectively. "We know push-pull works. Now it's a question of how much better we can make it work," game developer Ooi said. "In tests of these games, we've seen improvements in depth perception and binocular vision in people with lazy eye. The more abnormal the binocular vision is, the higher the number of training sessions needed." It’s exciting to see such research devoted to making treatment for amblyopia more engaging. We believe given the game’s positive results, someone will eventually develop it for actual clinical use. When that time comes, we will consider adding it to our current methods of treatment to make vision therapy as engaging as it is effective for our patients.